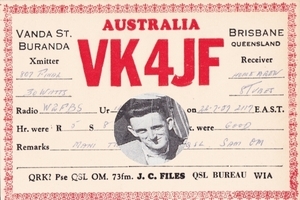 The object is for amateurs to work as many other amateur stations, and particularly as many different VK4 shires, towns and as many different states and territories as possible within each one hour block of the contest. But do not forget to have fun. The results for the Jack Files 2010 are as follows. Complete 2009 results in the attachment at the bottom of this page. The contest date is the 22nd of October 2011. It runs for six hours: 0800 UTC – 1400 UTC in six one-hour blocks for the purpose of duplicate contacts. The object is to work as many different stations in different Queensland Council areas for the purpose of multipliers but in adition to this all participant will be able to count the first of each VK state or territory worked in each one hour block of the contest to be counted as a multiplier. 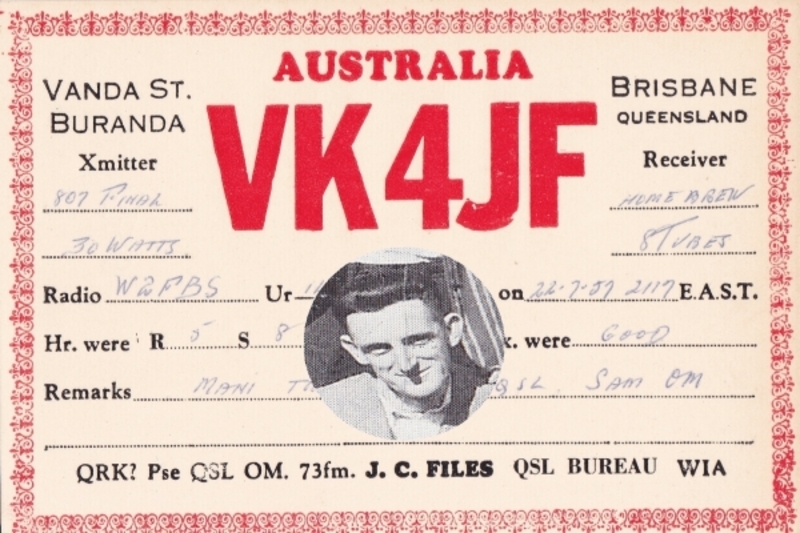 It is very important that VK4 stations give their shire codes with the report and number given . An example is an amateur in Rockhampton Regional Council area would give out 59001RR. Shire Codes have changed from previous years and will be published and are available from the contest manager. 80 metres only. Use 3.550mhz – 3.700mhz to put all licence grades on an equal footing. Non-VK4 stations will send RS(T) plus serial number starting at 001 and incrementing by one for each contact. VK4 stations will send RS(T), serial number and two-letter shire or town code for purposes of multipliers. In order to make best use of the band, stations may be contacted once in each hour on each mode. Repeat contacts with stations may be counted within the same one hour block only if the station is mobile and crosses from different shires, towns, states or territories to another. All repeat contacts must not be consecutive. Please if you have any questions regarding the scoring or mobile operation and scoring send an email and I will help. Each VK4 Shire or Town counts as a multiplier only once over the entire duration of the contest. All participants may also count the first contact in each state or territory as a multiplier and these may be counted within each hour block during the contest. The final score is the total QSO points multiplied by the total number of multipliers. Logs must show full details of all QSOs and must be accompanied by a Summary Sheet showing operator’s name; address; callsign; category and mode entered; claimed score and a declaration that the rules and spirit of the contest were observed.All logs to be submitted by the 30th of November 2011. Contest results will be notified to entrants and also published by the WIA. OR ANY OTHER DX LOCATION TO BE AWARDED A PLAQUE, IN ADDITION TO THEIR NAME ON A PERPETUAL SHIELD FOR THE CONTEST. THIS SHIELD WILL PERPETUALLY BE HELD AT THE IPSWICH & DISTRICT RADIO CLUBHOUSE. 3RD OVERALL WINNER, TO BE AWARDED A SPECIAL MEDALLION & CERTIFICATE. This contest is co-ordinated by the Queensland Advisory Committee, Ipswich & District Radio Club and is sponsored by the WIA.